GEORGETOWN, SC (WMBF) - Reducing the injuries and deaths resulting from domestic violence in Horry and Georgetown counties. That's the mission of the brand-new Family Justice Center in Georgetown that opened Friday. Year and year, the Violence Policy Center compiles a list of the states with the highest rate of females killed by males – South Carolina is consistently in the top ten, even coming in at number 1 in 2015. 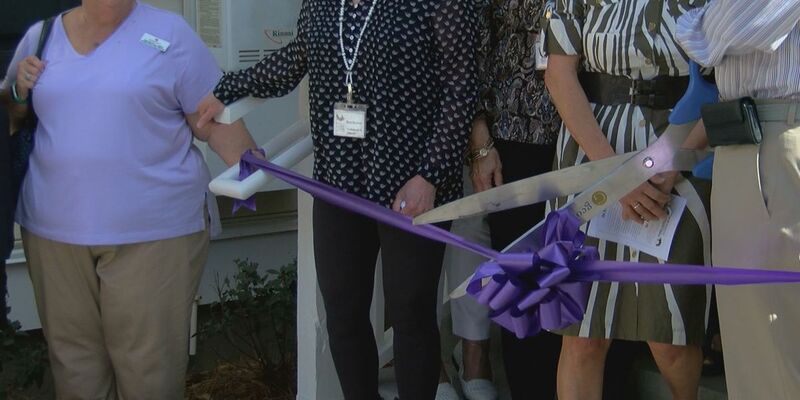 The Family Justice Center was founded in 2007 to help victims of domestic violence. In 2012, the center helped 300 victims. In 2017, they helped 1,5000. "So you can see the need is there," said Vicki Bourus, the Family Justice Center's Executive Director. The old facility was a 70-year-old building plagued by plumbing and air conditioning issues. According to the Family Justice Center's website, domestic violence is the leading cause of injuries to women aged 15 to 44, more common than car accidents. South Carolina is consistently in the top ten in the nation for women who are killed by men. "South Carolina is pretty late in the game when it comes to domestic violence issues and I think it took us getting to probably the worst spot on that list a few years ago being the number one state in the nation for women killed by their spouses and we really put some focus on it I guess around the end of 2015, 2016," said 15th circuit solicitor Jimmy Richardson, who spoke about the need for a Family Justice Center in every county. The center has a wide range of free resources to those seeking help and refuge from domestic violence including counseling, safety planning, court advocacy, emergency shelters, and much more. They also offer resources for children. "I think the message that we send to our victims is you're worth doing this for. You deserve the best. And if you don't believe that about yourself right now it's our job to help you believe that by putting you into a facility that's worthy of you," Bourus said. If you're in need of help, but worried about what might happen, Bourus encourages you to simply call to talk to a counselor. "Just make that call they don't have to come in to go to the shelter. They can just call to talk…..So thank goodness we're here because I feel like we save lives. I know we do." For more information on the Family Justice Center, visit their website by clicking here.